1. 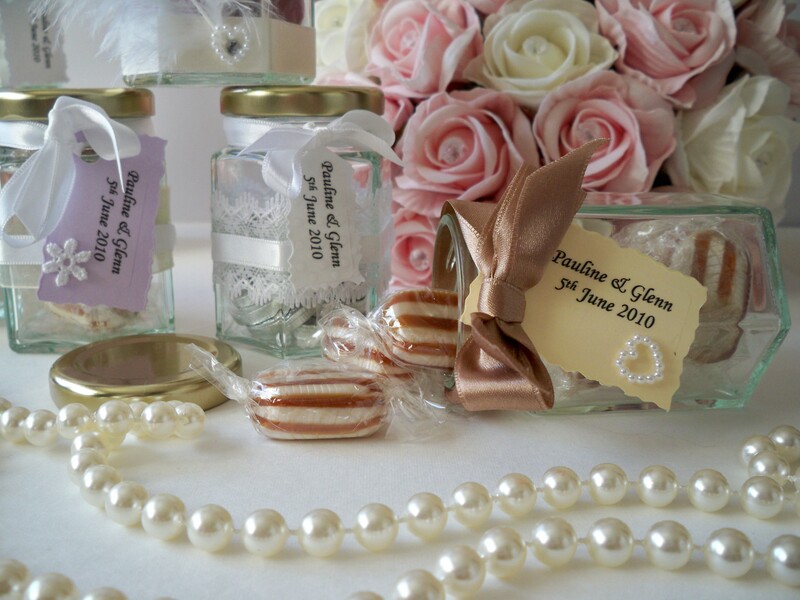 Simple is sometimes the best – why not pop a flower or two into the jar. One jar will work well on smaller tables, but you can go for as many as you want – even placing one on each place setting. Be careful not to choose big jars with long stemmed flowers otherwise people won’t be able to speak to those sitting across the table from them! 2. 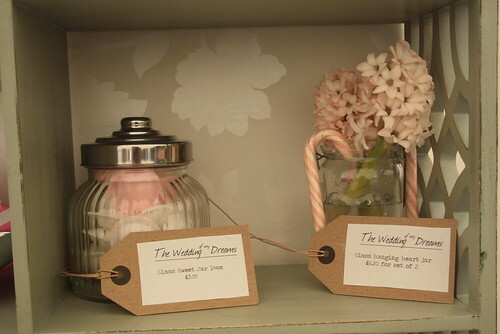 Sweeties – homemade or shop bought, either way they should reflect the theme of your wedding and look utterly delicious! 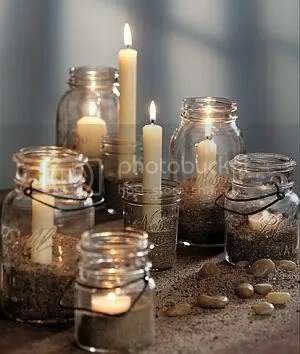 Put enough jars on the table for each guest, and they double up as a wedding favour. That makes the clearing up at the end of the night much easier! 3. Candles. So easy. You can paint the glass any colour, or leave it clear, and you can do all sorts inside the jar, such as fill it with sand, or pebbles for example. You can really get this to match your theme. Be careful with ribbon, you don’t want to set the place alight! Try and get candles that will burn for the entire evening. 4. Fruit – use seasonal fruit to jazz up the tables. Tricky to find images to inspire you, but these, courtesy of Marianne Taylor Photography should be enough to convince you it looks beautiful! I hope this helps to inspire you!